Make all of your special moments "Magical" with a breath taking dove release! You'll cherish your magical moment forever as you reflect on the awesome beauty of doves being released toward the heavens. We have released doves all over the Gulf Coast. Contact us at (813) 312.6786 for pricing and availability. 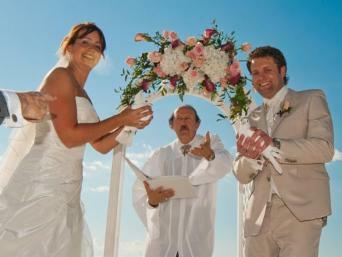 We Specialize in Beach Weddings!! We have provided white dove releases in the Tampa Bay Area for over 10 years. Magical Moment Dove Releases. Contact us at (813) 312.6786. KAT CREATIONS 2012.